Aqrabawi, A. J. and Kim, J. C. (2018). Behavioral Evaluation of Odor Memory in Mice. Bio-protocol 8(18): e3023. DOI: 10.21769/BioProtoc.3023. Behavioural tests based on the spontaneous recognition paradigm have been used extensively for examining the memory capacity of rodents. By exploiting their innate preference to investigate novel stimuli, inferences can be drawn about the perceived familiarity of encountered objects. Olfaction is the dominant sense used by mice to navigate their environment, yet these tests are often conducted using visual objects. By employing odors, one can reduce the high level of variability commonly observed between subjects. In this paper, we describe a protocol for assessing context-dependent odor memory by probing spatial and temporal associations separately or in conjunction with each other. We also detail a context-independent novel odor recognition protocol. These tests offer a simple and effective method for measuring odor memory in rodents using cheap and easily obtained materials. When presented with a novel and familiar odor, mice behaviorally express memory for the familiar odor by spending a greater proportion of time investigating the unknown stimulus (Ennaceur and Delacour, 1988). Previously encountered odors can also instigate an increase in investigation if it is found in a novel position in space or temporal sequence (Mitchell and Laiacona, 1998; Eacott and Norman, 2004; Dere et al., 2005; Hunsaker et al., 2008; Barker et al., 2017; Aqrabawi and Kim, 2018). This sensitivity to the contextual information associated with an odor can be useful for evaluating different aspects of memory which may manifest from unique neural substrates. This is particularly useful when investigating with animal models of memory disorders where one form of memory is affected to a greater extent. Notably, none of the behavioral paradigms require extensive training and can be easily modified to suit experimental needs. Figure 1. Adaptable apparatus. 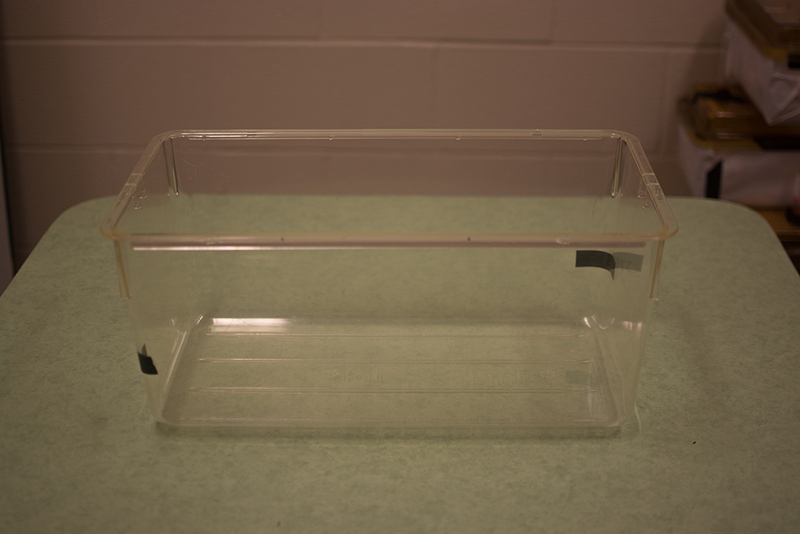 Photograph of an acrylic glass cage (50 cm x 25 cm x 20 cm) used for Procedures A-D. Collect 250 ml of woodchip bedding into a container (zipper storage bags can be used). Neutral valence odors found to be effective include nutmeg, vanillin, coriander, banana, garlic, cinnamon, thyme, almond, onion powder, curry, ginger, savory, cumin, dill, jasmine, coffee, oregano, sage, and rosemary. Add 1 tablespoon of the odor source and mix thoroughly with woodchip bedding to ensure even distribution. Cover/Seal the container until ready for use. Repeat Steps A1-A3 to prepare a supply of each odor to be used. To prepare an odor for presentation add 1 tablespoon of the odor-mixed bedding into a small disposable cup or weigh boat. Tape the bottom of the odor cup and place it within the testing chamber. Figure 2. Paradigm for testing olfactory spatial memory. This test is conducted using two encoding phases and one retrieval phase each 5 min in length and separated by a 15 min intertrial interval. The purpose is to measure the ability to remember ‘where’ an odor occurred in a spatial context. Correct memory expression would drive mice to investigate the odor found at the novel location within the context (indicated in red). Prepare two 50 cm x 25 cm x 20 cm acrylic glass open-topped cages to represent distinct contexts (contexts A and B). Each cage can be modified by pasting different patterned wallpaper on the outer sides or by using a surrounding set of objects for distinct spatial cues. Floor bedding can be used in one context to improve distinguishability. Place context A on an elevated tabletop within a dimly lit room (~30 lx). Remove the mouse from its home cage and place it within context A, allowing it to explore for 15 min. Place the animal in a holding cage and replace context A with context B. After 5 min, place the animal in context B for another 15 min of exploration. Return the animal to the holding cage for 5 min and prepare context A such that two different odors are presented at opposite ends of the cage (i.e., odor 1 on the left and odor 2 on the right). Place the animal in context A and allow them to explore both odors for 5 min. Return the animal to the holding cage for 15 min and replace context A with context B. Place the odors within context B in opposite positions (i.e., odor 1 on the right and odor 2 on the left). Set the animal in context B and allow them to explore both odors in their new positions for 5 min. Return the animal to the holding cage for 15 min and replace context B with context A. This time, place two copies of one odor on both sides of the chamber. Allow the animals to explore the odors for 5 min before returning them to their home cage. Figure 3. Paradigm for testing olfactory temporal order memory. 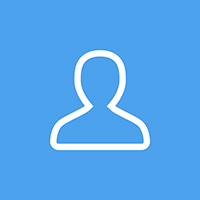 This test is conducted using three encoding phases and one retrieval phase each five minutes in length and separated by a 15 min intertrial interval. The purpose is to measure the ability to remember ‘when odors occurred in a temporal sequence. Correct memory expression would drive mice to investigate the odor encountered earlier (indicated in red). Importantly, the spatial context is constant. Use a transparent 50 cm x 25 cm x 20 cm acrylic glass cage elevated onto a tabletop within a dimly lit room. Remove the animal from its home cage and place it within the testing chamber, allowing it to explore for 15 min. Place the animal in a holding cage for 5 min and set two copies of odor 1 on opposite ends of the testing chamber. Place the animal back in the testing chamber and allow them to explore the odor for 5 min before returning them to the holding cage for 15 min. Repeat Step C4 two more times using two different sets of odors each time. Set up the testing chamber so that the odor presented earliest in the sequence (odor 1) and the most recently presented odor (odor 3) are placed on opposite ends. Place the animal in the testing chamber and allow them to explore both odors for 5 min before returning them to their home cage. Figure 4. Paradigm for testing novel odor recognition. This test is conducted using three encoding phases and one retrieval phase each five minutes in length and separated by a 15 min intertrial interval. The purpose is to measures the ability to detect novel and familiar odors. Correct memory expression would drive mice to investigate the novel odor (indicated in red). Importantly, performance in this task is independent of memory for the context. Follow Steps C1-C5 of the procedure outlined for the Procedure C.
Set up the testing chamber so that the odor presented earliest in the sequence (odor 1) is placed on the opposite side of a previously unexplored odor (odor 4). Figure 5. Paradigm for testing an integrated ‘what-when-where’ odor memory. This test is conducted in two encoding phases (10 min) and one retrieval phase (5 min) each separated by a one-hour delay. The purpose is to examine memory-based behavioral judgments while the animal concurrently weighs odor identity, temporal distance, and spatial location. Successful memory for an integrated (what-when-where) memory will result in a pattern of exploration such that the odor with the NL/TD configuration is preferentially investigated while the FL/TR configuration is investigated least. Habituate the animals to the testing arena which consists of a 50 cm x 50 cm x 20 cm transparent acrylic glass open field for 30 min. Place the animals in a holding cage for 5 min and place two different odors at two adjacent corners within the arena. Allow the animals to explore both odors for 10 min before returning them to the holding cage for 1 h.
Replace the odors with a new pair of distinct odors on the opposite adjacent corners and allow the animals to explore both odors for another 10 min before returning them to the holding cage for an additional 1 h.
Present all four odors with the spatial position of one odor from each set exchanged. This presentation results in each odor possessing a unique spatiotemporal configuration–novel location and temporally distant (NL/TD), familiar location and temporally distant (FL/TD), novel location and temporally recent (NL/TR), and familiar location and temporally recent (FL/TR). Set the animals back into the arena and allow them to explore all four odors for 5 min. Here a value of zero represents equal investigation of both odors. Positive values up to one indicate preference for the novel odor configuration, whereas a negative value indicates greater investigation of the familiar stimulus. Each discrimination ratio should be compared to zero (chance performance) using a two-tailed one-sample t-test. Performance between groups can be compared using a t-test or a one-way ANOVA with testing group as a factor if analyzing multiple treatment conditions. Here percent investigation time should be analyzed using a two-way ANOVA with testing group and odor spatiotemporal configuration as factors. Where appropriate, Tukey’s multiple comparisons test can be used for post hoc comparisons. Odors should be prepared fresh on each testing day. Care should be taken not to contaminate the odors during their preparation. Multiple identical odors cups should be used such that no animal investigates the same cup twice to avoid scent marking from influencing odor investigation. The odors presented and the order of their presentation between animals was pseudorandomized. All cages should be wiped thoroughly with 10% ethanol and allowed to dry in between exposures. All tests should be video recorded from a side-view to allow for later scoring. Investigation time should be measured for each odor in the retrieval phase of each test (final 5 min). Measuring the investigation time during the encoding phases is helpful to identify and exclude animals that demonstrate an excessive bias or aversion to any particular odor. Scoring should be performed by individuals blind to the treatment conditions. Exploration is strictly defined as head up sniffing, directed towards and within 1 cm of the odor source. This definition excludes the use of odor cups for sitting or as support during rearing. An additional overhead video is helpful for evaluating the ‘what-when-where’ memory test. Overhead videos can be analyzed with ANY-maze software to produce average heat maps of each group’s position within the testing chambers. It is not uncommon for animals to exhibit high variability in their investigation times using spontaneous recognition memory tasks, thus using a large number of animals might be necessary to observe differences between groups. For the spatial and temporal odor memory test (Procedures B and C) a discrimination ratio of 0.5 can generally be expected in healthy, 8-10 weeks old wildtype mice. On the novel odor recognition test (procedure D), mice usually exhibit higher discrimination ratios averaging 0.8 in our hands. Upon measuring the percent investigation time within the what-when-where test (Procedure E), one can expect mice to display a pattern of investigation indicative of their novelty preference such that ~40% of their time is spent investigating the NL/TD odor, ~20% investigating each FL/TD and NL/TR odors, and ~10% on the FL/TR odor. This research was funded by operating grants to J.C.K. from the Canadian Institutes for Health Research (CIHR) (MOP 496401) and the Natural Sciences and Engineering Council of Canada (NSERC) (MOP 491009). These protocols were adapted from previous experiments published in Aqrabawi and Kim (2018). All procedures are in accordance with the guidelines of the Canadian Council on Animal Care	(CCAC) and the University of Toronto Animal Care Committee. Aqrabawi, A. J. and Kim J. C. (2018). Hippocampal projections to the anterior olfactory nucleus differentially convey spatiotemporal information during episodic odour memory. Nat Commun 9: 2735. Barker, G. R., Banks, P. J., Scott, H., Ralph, G. S., Mitrophanous, K. A., Wong, L. F., Bashir, Z. I., Uney, J. B. and Warburton, E. C. (2017). Separate elements of episodic memory subserved by distinct hippocampal-prefrontal connections. Nat Neurosci 20(2): 242-250. Dere, E., Huston, J. P. and De Souza Silva, M. A. (2005). Episodic-like memory in mice: simultaneous assessment of object, place and temporal order memory. Brain Res Brain Res Protoc 16(1-3): 10-19. Eacott, M. J. and Norman, G. (2004). Integrated memory for object, place, and context in rats: a possible model of episodic-like memory? J Neurosci 24(8): 1948-1953. Ennaceur, A. and Delacour, J. (1988). A new one-trial test for neurobiological studies of memory in rats. 1: Behavioral data. Behav Brain Res 31(1): 47-59. Hunsaker, M. R., Fieldsted, P. M., Rosenberg, J. S. and Kesner, R. P. (2008). Dissociating the roles of dorsal and ventral CA1 for the temporal processing of spatial locations, visual objects, and odors. Behav Neurosci 122(3): 643-650. Mitchell, J. B. and Laiacona, J. (1998). The medial frontal cortex and temporal memory: tests using spontaneous exploratory behaviour in the rat. Behav Brain Res 97(1-2): 107-113. How to cite: Aqrabawi, A. J. and Kim, J. C. (2018). Behavioral Evaluation of Odor Memory in Mice. Bio-protocol 8(18): e3023. DOI: 10.21769/BioProtoc.3023.